The grand opening of a new mac 'n cheese place? I must explore. 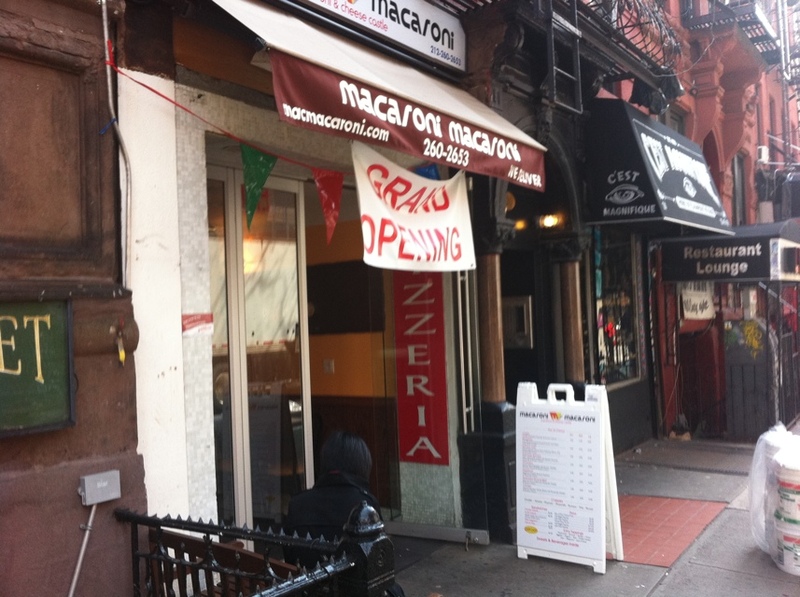 I was bopping around the West Village looking for a quick bite to eat when I stumbled upon Macaroni Macaroni, which as you can see is a just-opened Mac and Cheese place on Macdougal Street. Mac and cheese is certainly among the least dietetic dishes one can have, but like everybody else I love the stuff, so I opted to stop in and check it out. The small storefront offers a number of varieties at a reasonable price – downright cheap compared to the rest of the spots in the neighborhood. As you can see the price point is at or under $10. The sizes, as it turns out, are directly related to the size of the tinfoil tray you get it served in (as opposed to portions of varying degrees doled out in the same container, like a one or two scoop ice cream). The small is a rectangular shape you’ve probably seen a million times, and the medium and large are both circular dishes. The large seems almost big enough to carry a whole apple pie in – just excessive. Frankly a small would probably cut it for most folks. I opted for a medium Classic. As you can see on the menu, it contains Cheddar, Velveeta, Muenster & Romano cheeses. Other varieties include some kind of protein (chicken, pepperoni, veggies, etc). I could see them applying macaroni and shaved cheese into the plate before sliding it into pizza-style oven to cook up. As you can see it the result looked quite promising. I was especially enthusiastic about the presence of the crucial crust. It was a bread-crumb crust, and it wasn’t exactly fully crusty, but nonetheless, a nice touch. By the way, the dish you are looking at there cost $6, which is a good deal for that volume of food. So how was it? 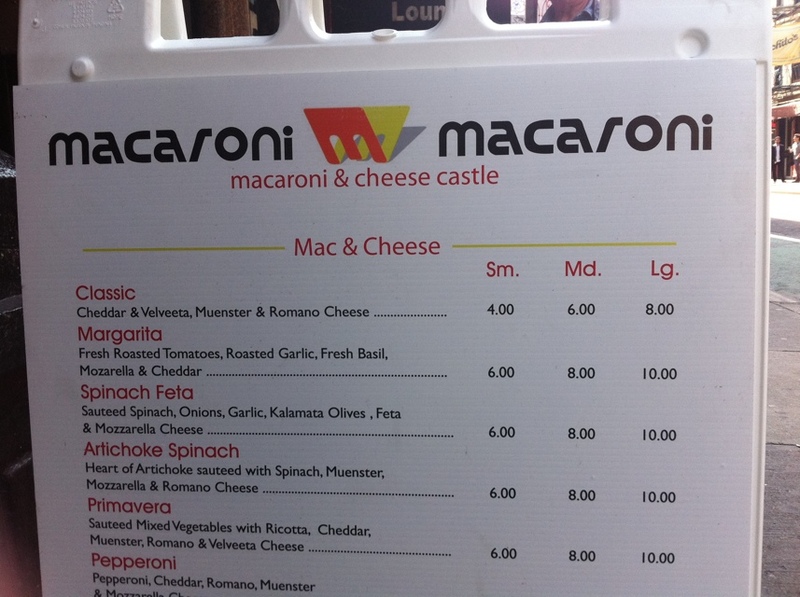 The answer is that it is a cut above many macs I’ve had in town. That is not too say this was especially good (for instance, it can not compete with the awesome mac at Delta Grill). But it does point to just how bad most macs are in town. Either they are simply a flavorless texture or they are an intensely artificially-flavored bulk or they are some BS nouveau take on mac that misses the mark and doesn’t scratch the itch that made you order it in the first place. This place was much closer to the target than all of those. It was rich and basically cheesy. The texture of the cheese was actually quite winning – it was both gooey and stringy, a good sign. 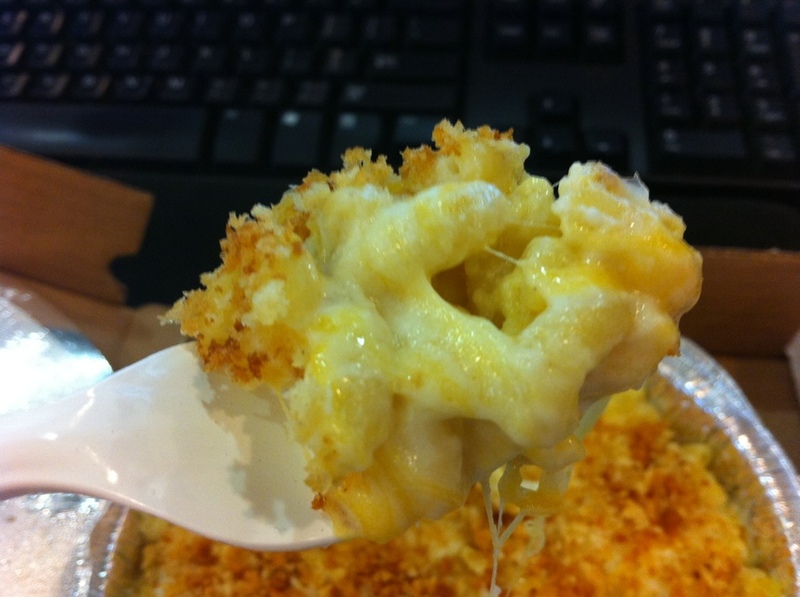 The flavor, while sufficiently cheesy, was missing the strong butter note I love in a good mac. However, there was one significant disruptive influence: the whole thing smelled just a bit like popcorn, which threw me. Overall the dish was tasty but unfocused, which I think is the result of mixing the four cheeses. I find myself wondering if I could go back and ask them to just use cheddar. 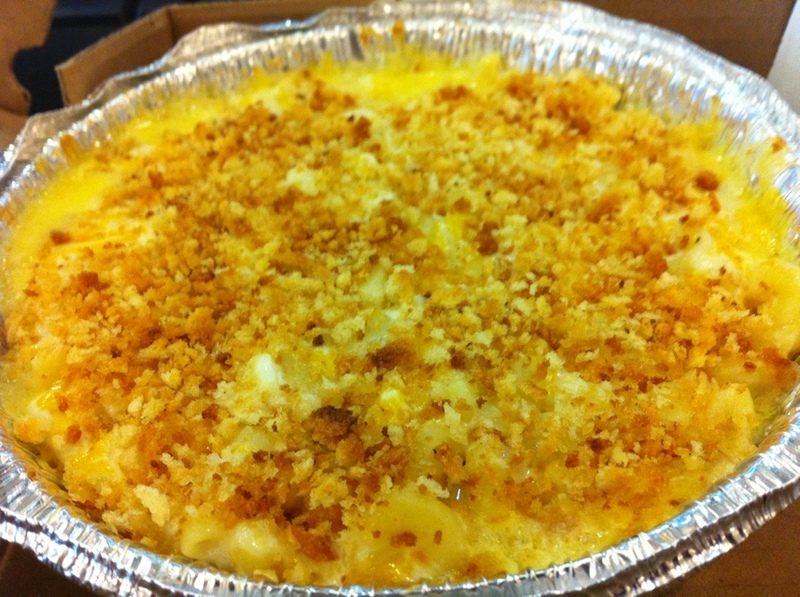 Macaroni Macaroni will definitely scratch your mac and cheese itch. They are playing in the comfort-food wheelhouse and they get a lot right – especially for just $6. They are not spectacular, but they offer a lot of food for the buck. Chances are good I will return, especially in colder weather.